Detailed brain cell analysis has helped researchers uncover new mechanisms thought to underlie Parkinson's disease. For years, scientists have known that Parkinson's disease is associated with a build-up of alpha-synuclein protein inside brain cells. But how these protein clumps cause neurons to die was a mystery. 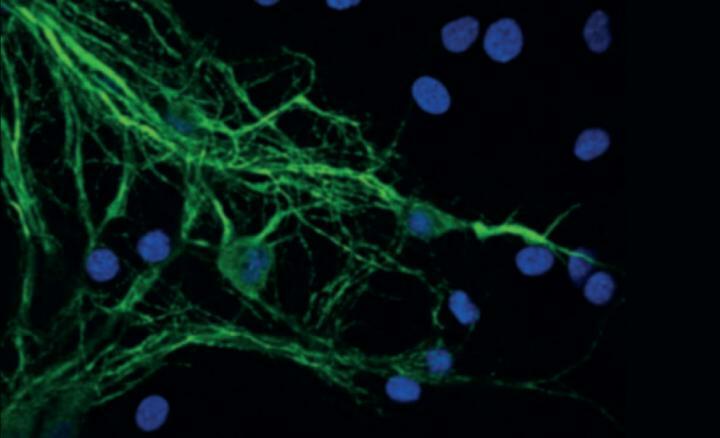 Using a combination of detailed cellular and molecular approaches to compare healthy and clumped forms of alpha-synuclein, a team of scientists at the Francis Crick Institute, UCL, UK Dementia Research Institute at the universities of Cambridge and Edinburgh, New York University and other collaborators have discovered how the protein clumps are toxic to neurons. They found that clumps of alpha-synuclein moved to and damaged key proteins on the surface of mitochondria – the energy powerhouses of cells – making them less efficient at producing energy. It also triggered a channel on the surface of mitochondria to open, causing them to swell and burst, leaking out chemicals that tell the cell to die. These findings were replicated in human brain cells, generated from skin cells of patients with a mutation in the alpha-synuclein gene, which causes early-onset Parkinson's disease. By turning patient skin cells into stem cells, they could chemically guide them into become brain cells that could be studied in the lab. This cutting-edge technique provides a valuable insight into the earliest stages of neurodegeneration – something that brain scans and post-mortem analysis cannot capture. Sonia Gandhi, Group Leader at the Crick and UCL, and joint senior author of the study said: "Our findings give us huge insight into why protein clumping is so damaging in Parkinson's, and highlight the need to develop therapies against the toxic form of alpha-synuclein, not the healthy non-clumped form." Andrey Abramov, joint senior author of the paper said: "This study was a complex collaboration at the interface of chemistry, biophysics and biology, bringing scientists from different disciplines together to investigate a longstanding problem in Parkinson's research."